275 psi and the Refueler 180 turns itself off without operator attention. be daisy-chained to fill more cylinders at one time. level of fullness - they will all be filled together and finish at the same time. Cylinders fill at a rate of three cubic feet per minute. 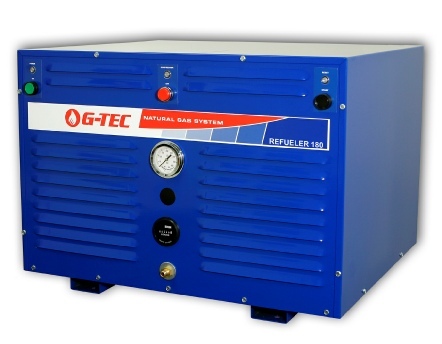 Refueler 180 is compact, just 28” wide, 24” deep and 20” tall - it weighs about 175 pounds. Electrical requirement is 120V 30 amp and there is a 230V 50Hz configuration available, as well. in an area where temperatures range between 40F to 90F/22C to 32C. 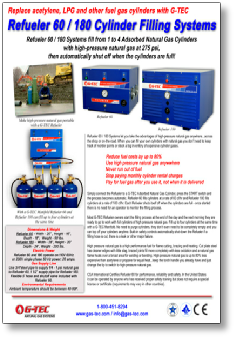 How to install a Refueler 180 Cylinder Filling System. special license or certificate. 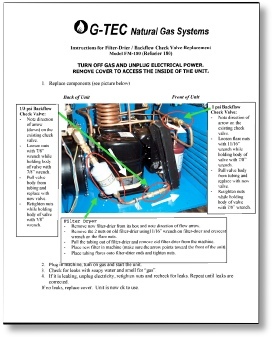 Requirements to operate Refueler 180 may be different in other countries. Refueler 180 is CE Compliant for use in European Union countries.